I consider everything that I do, even when I am not traveling, a spiritual experience. I have always been like this from the beginning. 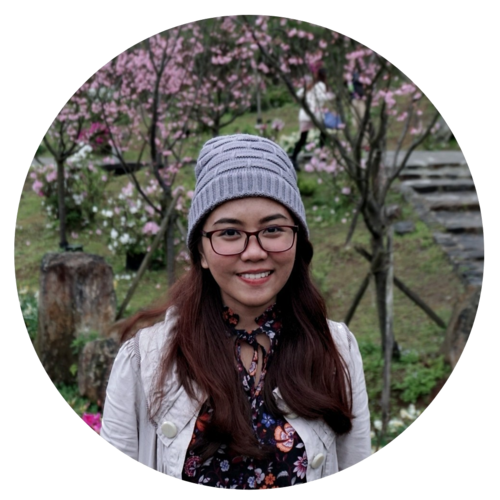 If you are new on this blog, you probably do not know yet what my stand is about religion. So let me introduce myself once again. My name is Hanna, and I don’t have one. Or I do, but I simply do not know what it is called. Haha! I do, however, recognize and respect, all religions. I believe that all religions contain truths, but that no one religion offers all that is truth. Something an Omnist would say, huh? I do not want to delve deeper into that. If you want to know more about my own beliefs, let’s have coffee sometime. 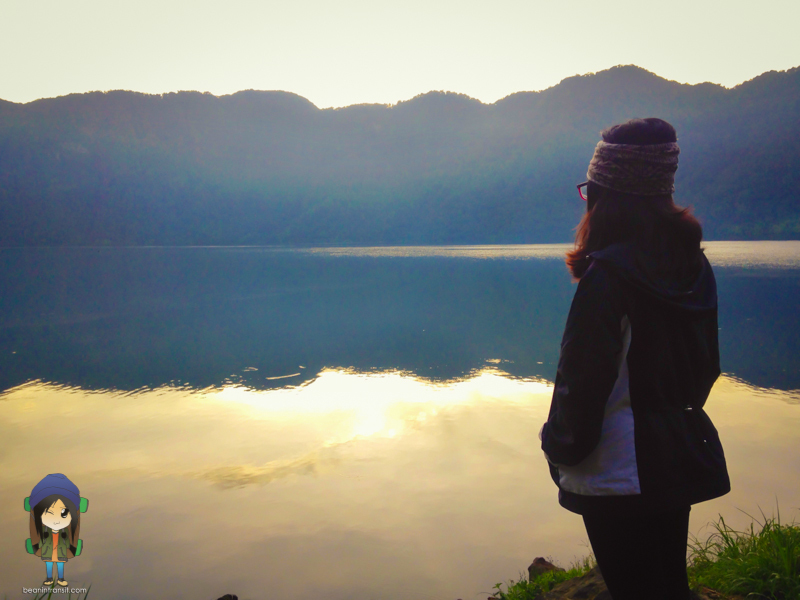 Today, I just want to talk about why I consider traveling as a way of praising God. Because most of the people I know believe in one. They may call this ‘God’ in different names, but still, most of the people I’ve met on the road believes in a Higher Power, an all-powerful Creator. Worship is the process of surrendering oneself, one’s entire life into God’s hand. You can either do it through prayer, or doing acts of kindness, or by singing praises to God. There are several ways people do it. One of them is by traveling. I say this because when you are traveling, you get to see new things, and most of the time, you see what a wonderful world we live in. It makes you thankful that you are able to see, feel, and experience the whole place around you. It makes you grateful that you are living and existing in this Universe. 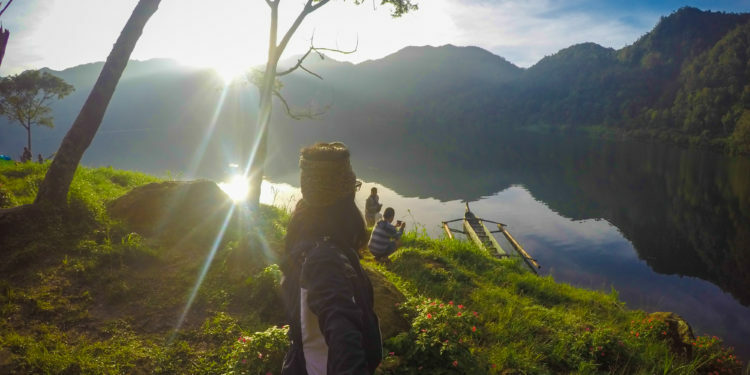 That was exactly how I felt when I saw the jaw-dropping beauty of Lake Holon. I simply had to pause for a while, and thanked the Heavens above, the Universe, for conspiring to let me reach this beautiful creation. It always makes me happy when I feel that I am one with the cosmos. 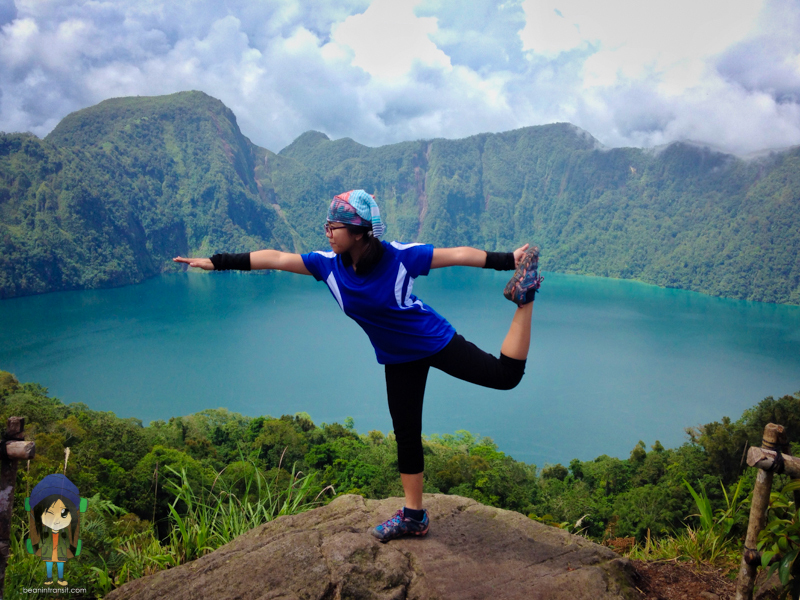 My attempt to do the Lord of the Dance/Natarajasana yoga pose at the viewing deck of Lake Holon. 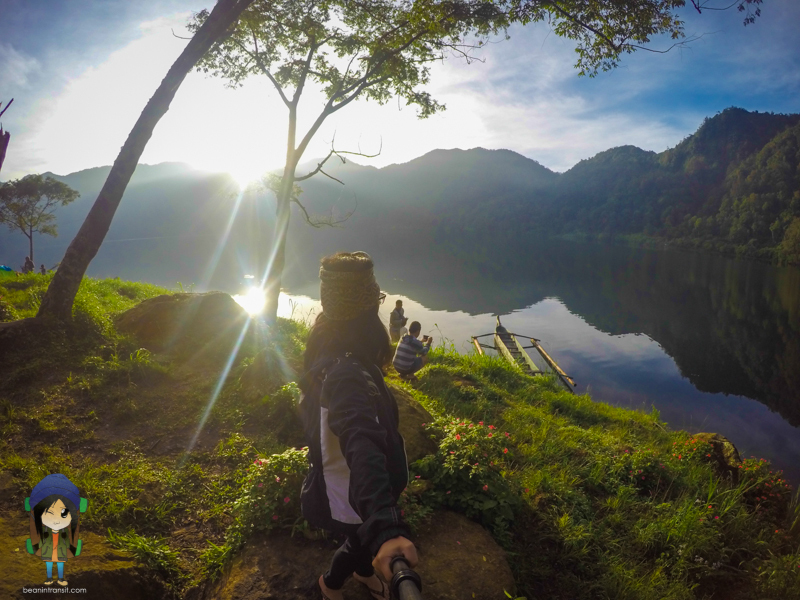 Lake Holon, is a caldera lake, nestled in the mountains of South Cotabato, one of which is the stratovolcano, Mt. Parker or locally known as Melibengoy. 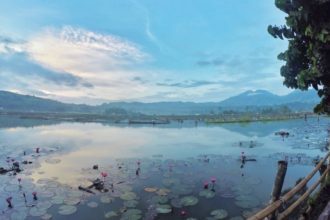 It has such steep walls, which rises about 200 – 500 meters above the lake. I would say that it was not one of the most difficult trails I have been to, but it was still challenging because there are a lot of long ascents before you can reach the highest point at 1,756 meters above sea level. Right before we left the orientation area at the jump-off of Kule Trail, I was surprised when one of the Tboli women offered a prayer for a safe journey. It literally felt like I was in a Puja ceremony – a ceremony that is held at the Everest base camp, before climbers continues their journey to the highest to the top of the world. 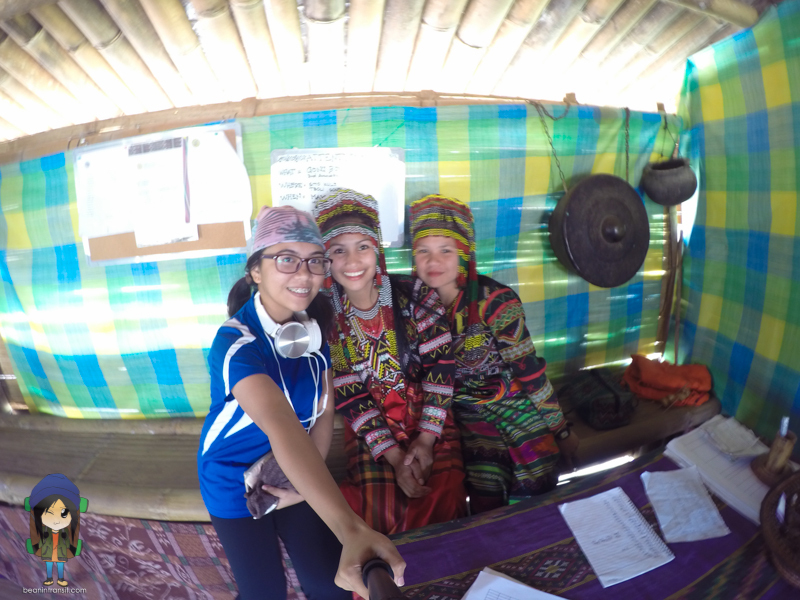 With the Tboli women. The woman beside me was the one who offered prayer for our safe journey. 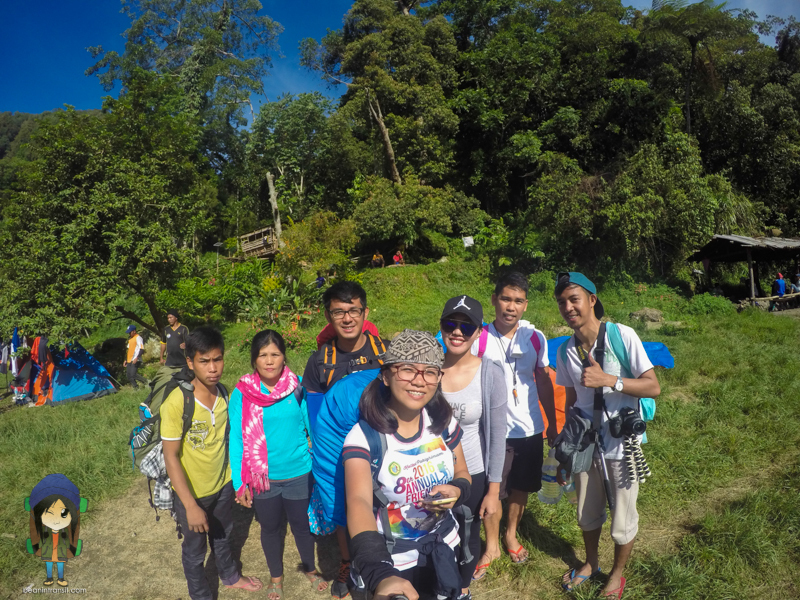 It took us about 2 hours to reach Station 4 or the viewing deck in Lake Holon, and then another 1 hour from there towards the campsite. I was in awe of the stunning view when I finally arrived at the campsite. The lake was simply beautiful from wherever you look at it. Riding a boat going to the campsite. 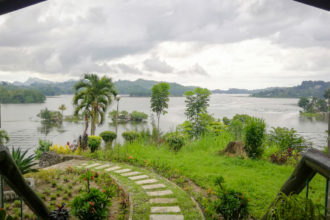 And even though there were several campers in the area, the place is so serene and peaceful, I could still even hear the faint sound of the water from the lake and the chirping of the birds. My friends CJ, Mernell, and I did not do much when we arrived. 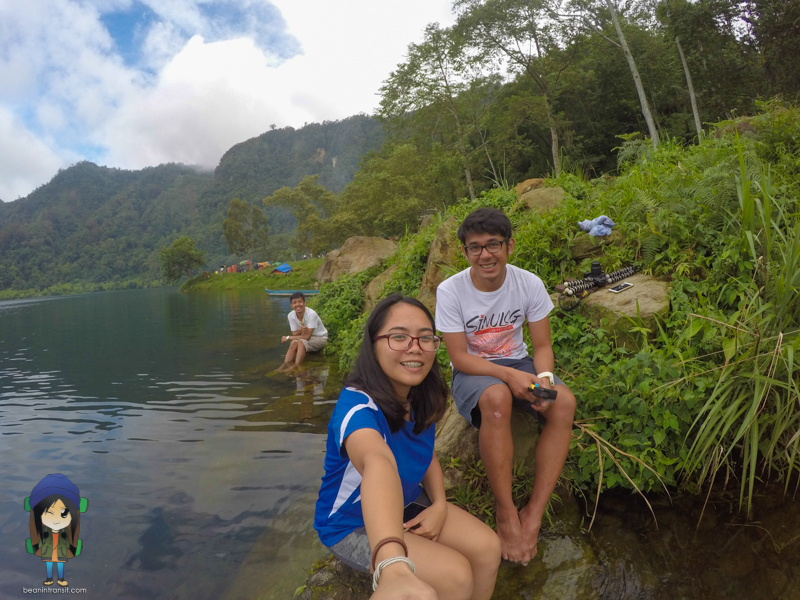 Right after we set up our tents, we proceeded to the lake, took some pictures, and had some fun with the fishes. 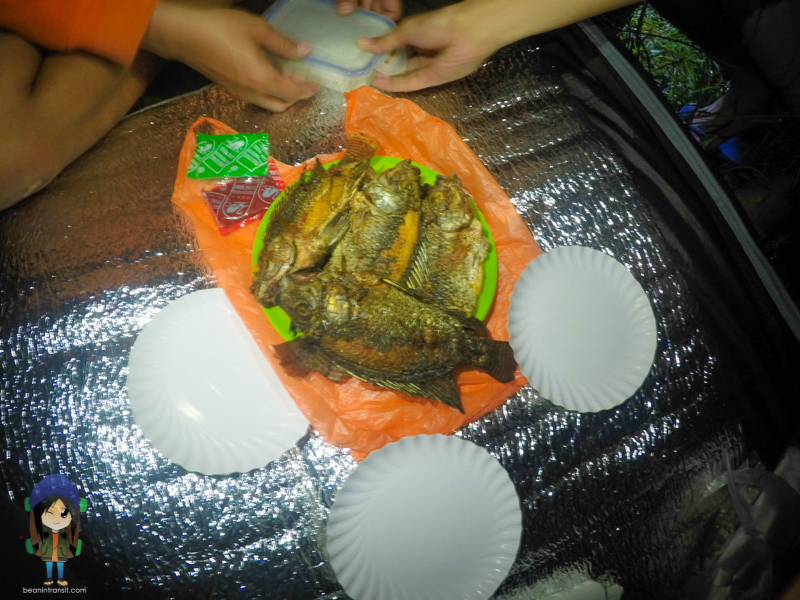 If there is one thing South Cotabato is abundant of, it’s Tilapia! We had fried tilapia for dinner. The next morning, I woke up really early to witness something beautiful. 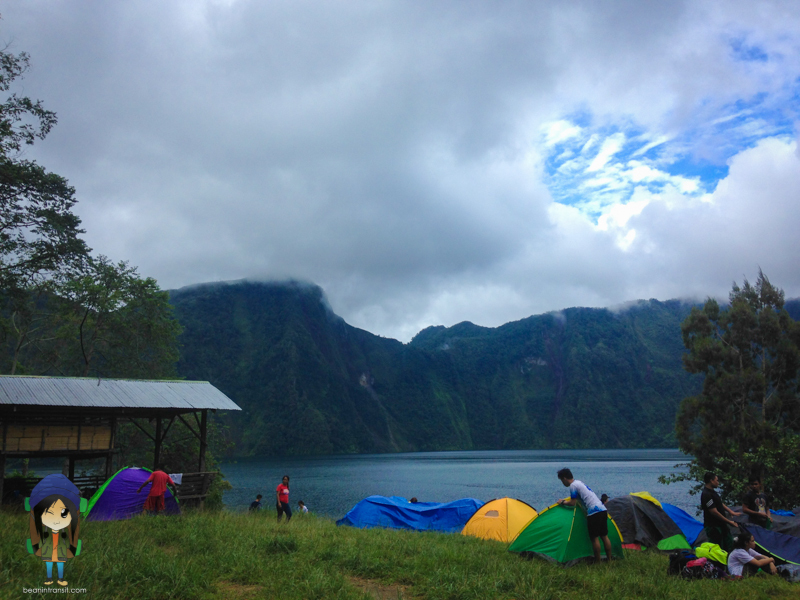 It was a Sunday, and every Sunday in Lake Holon, the Tboli community would gather around a bonfire, singing praises and offering their thanks to God. Isn’t it wonderful that someone is thankful to God for having you in their home? 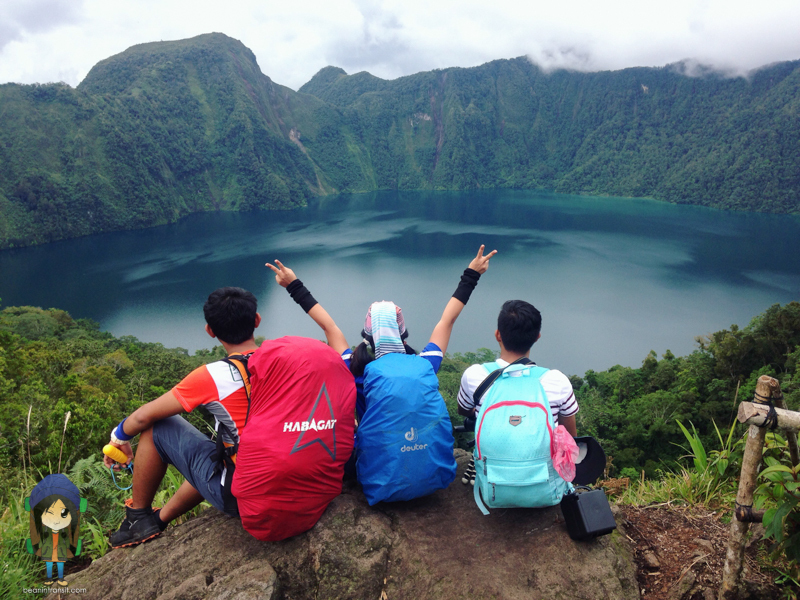 My friends and I left Lake Holon a few hours after that. I happened to talk to our guide, who is by the way one of the pastors in Tboli. She told me that how they got converted to Christianity. About 50 years ago, some American missionaries went there in Tboli and lived with them for years. These American missionaries eventually learned their language, and that was when they translated the Bible in the Tboli dialect. 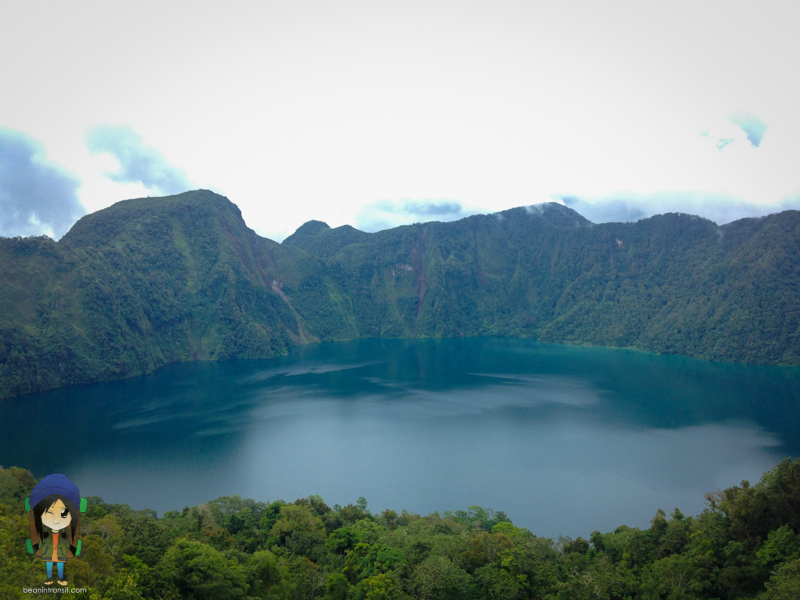 Our guide told me that she is happy that people from all over the country visits Lake Holon. Because that means they have a work to do, and they get to share their culture with other people too. She told me the wonderful blessings they have received over the past few years. Right now, they are more than happy that electricity has finally arrived to some of the areas in Kule. Right now, they are slowly saving up to buy musical instruments they can use in their praise and worship. 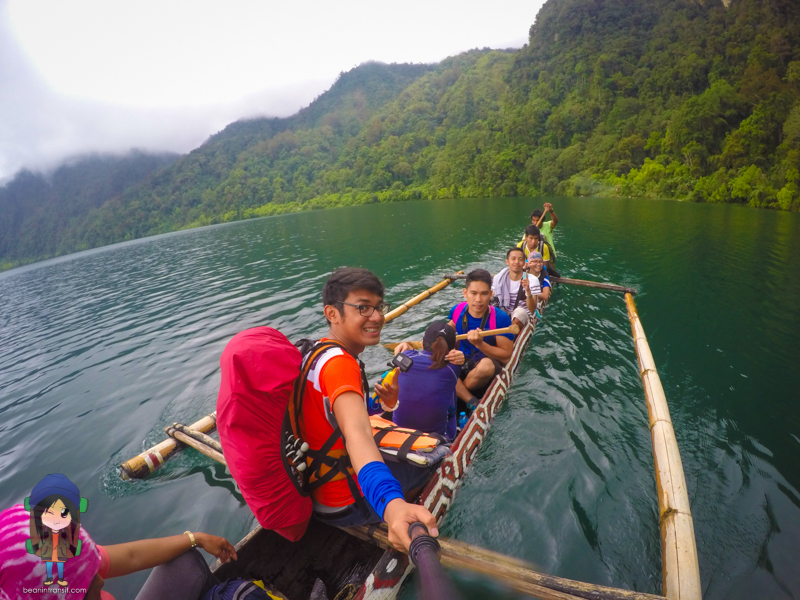 I couldn’t describe how thankful I am to have been given the opportunity to reach Lake Holon, and meet the Tboli brothers and sisters there. My conversation with our guide struck a chord in my heart. These people are thankful to have us. I hope that we, in return, would do the same. 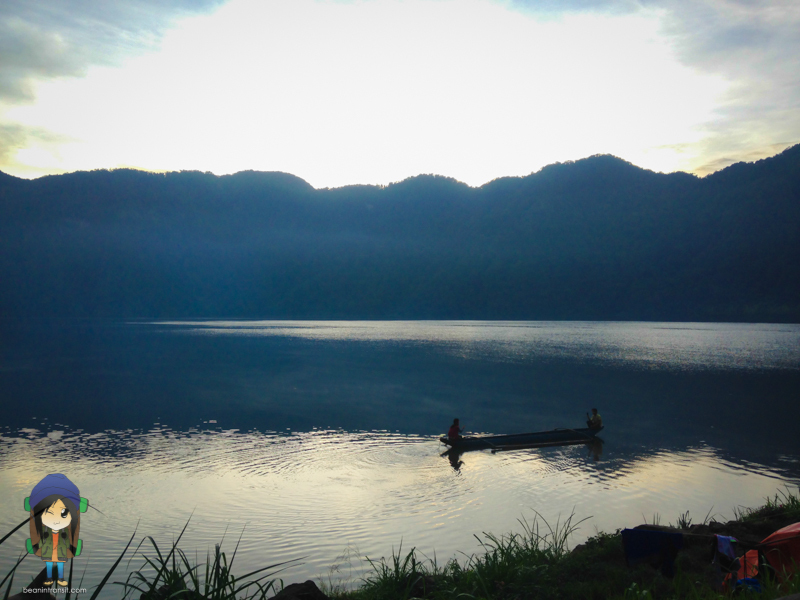 Respect their home – Lake Holon.